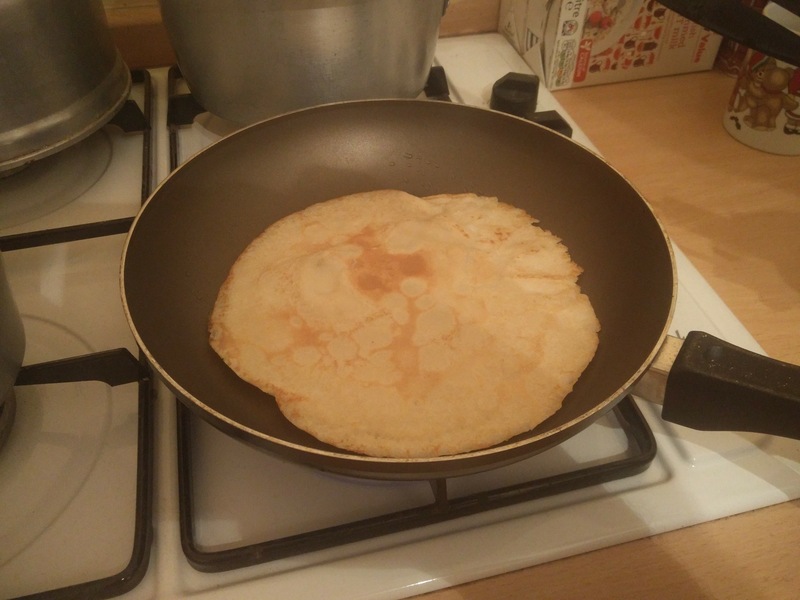 I’ve been doing a lot of cooking recently (if you hadn’t noticed) and as today is quite famous for pancakes, I thought it was time to give it a go. 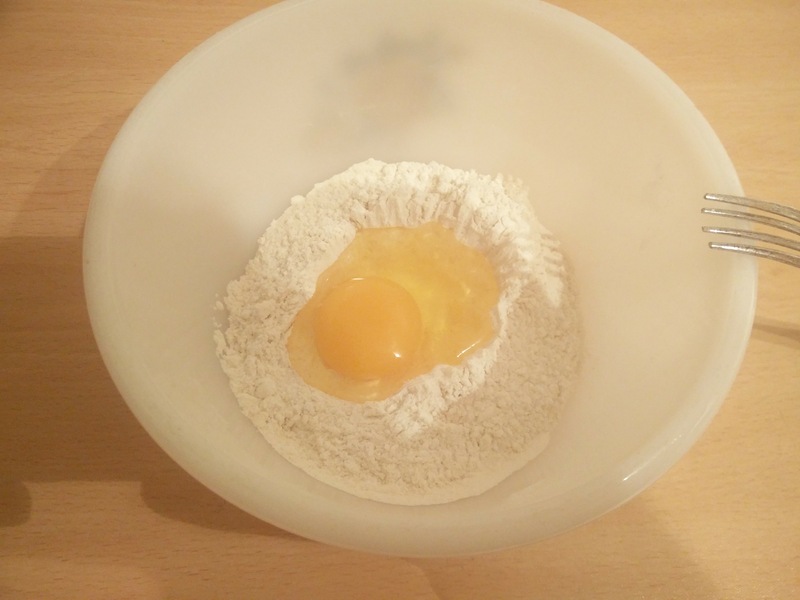 The recipe was fairly straight forward, and most of the time this took was used to let the batter settle. 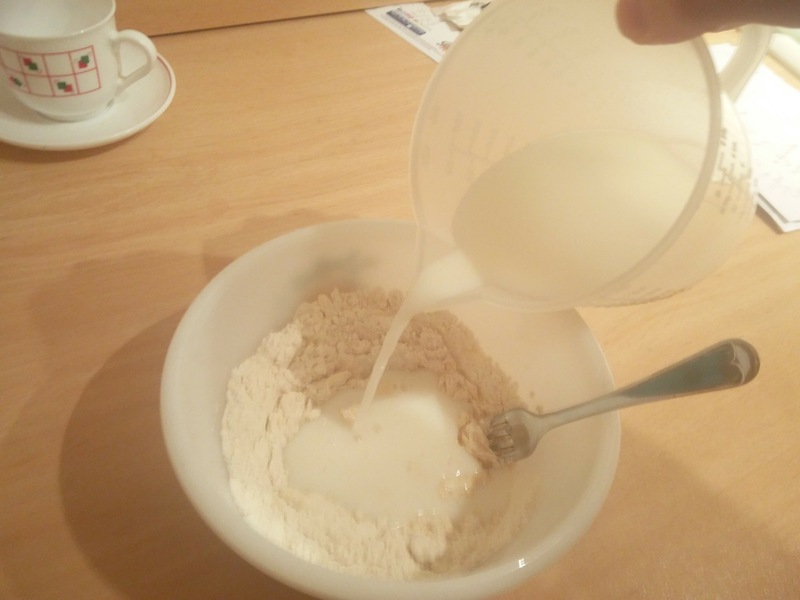 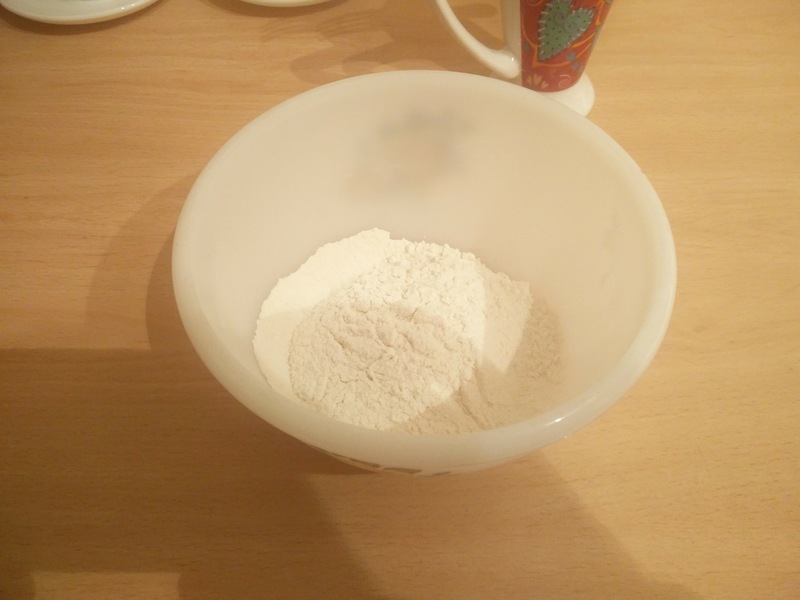 To create the batter, some flour, an egg, milk and water (2/3 milk, 1/3 water) were put into a bowl and mixed together. 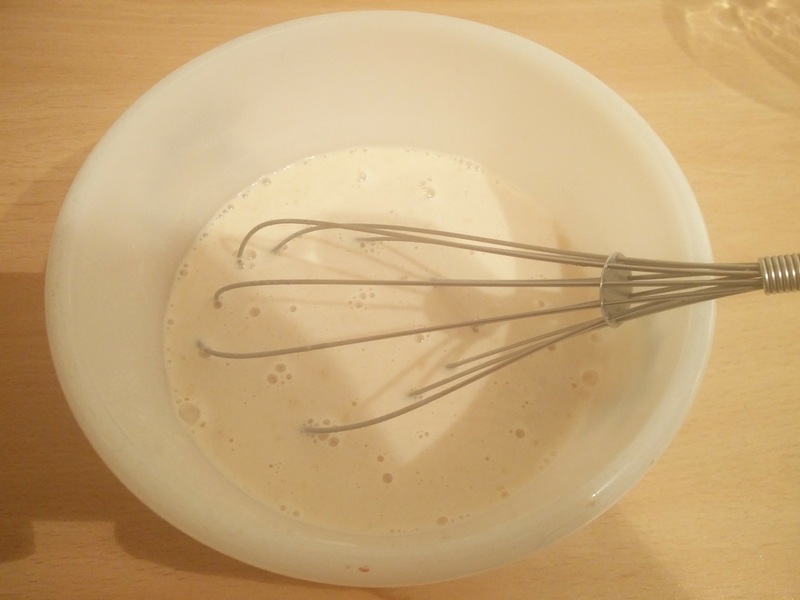 After a number of minutes whisking, the ingredients had turned into a milky looking batter, that was runny and smooth. 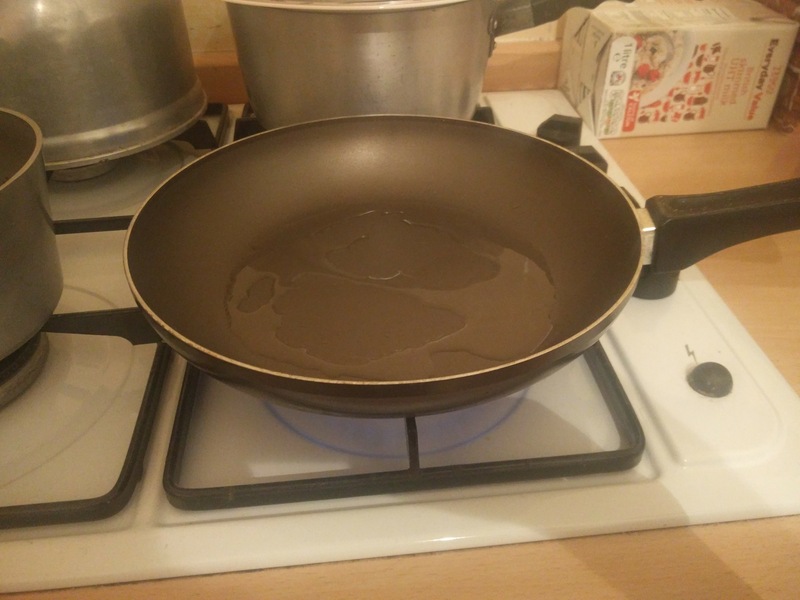 Once the batter had settled, it was time to turn on the hob to heat the frying pan, along with putting in some of the vegetable shortening that I had bought a while ago to grease the pan. 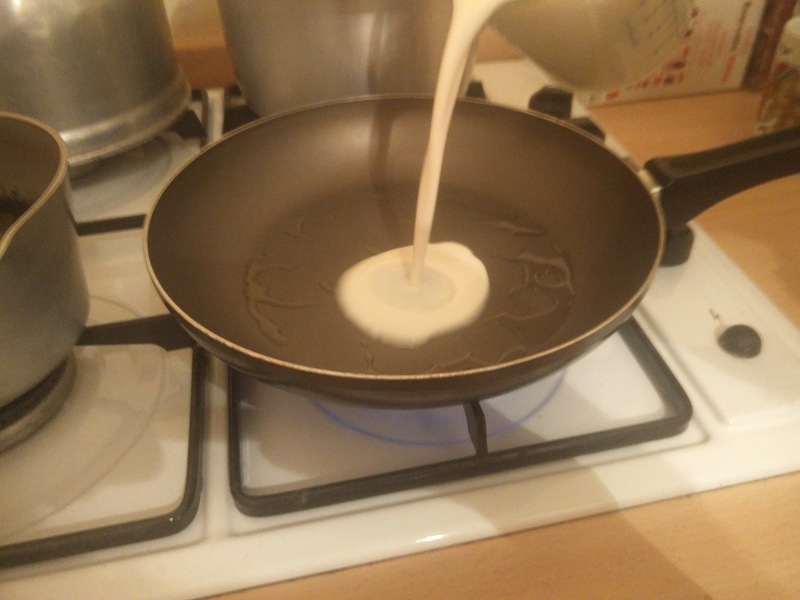 When the vegetable shortening had melted and the pan was hot enough, the batter mixture could then be poured into the pan to cook and brown slightly, which happened fairly quickly. 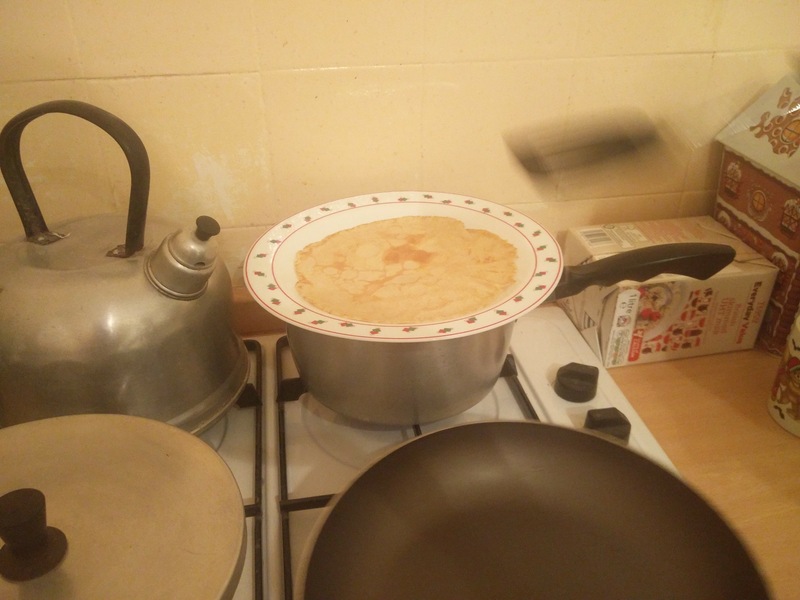 Next came the famous part of making pancakes… flipping them over. 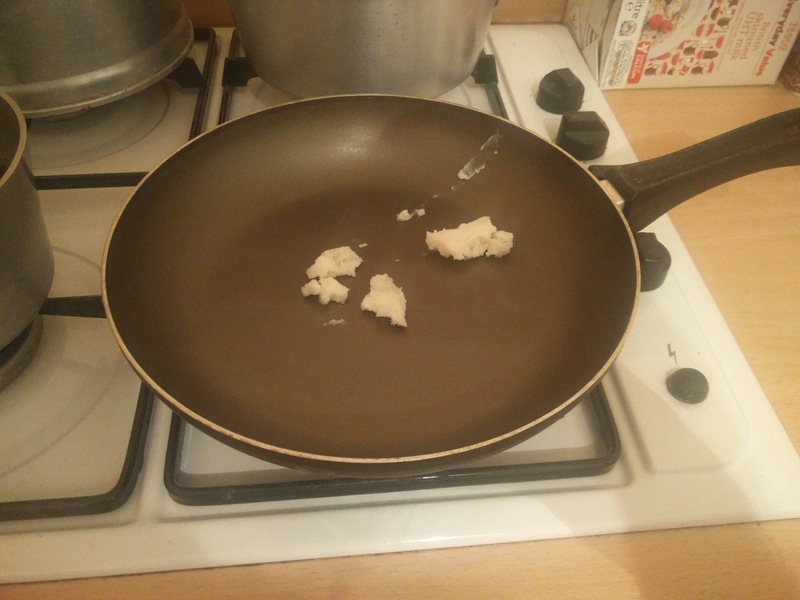 Since it was my first pancake attempt, I opted to use the spatula to complete this part of the cooking process. 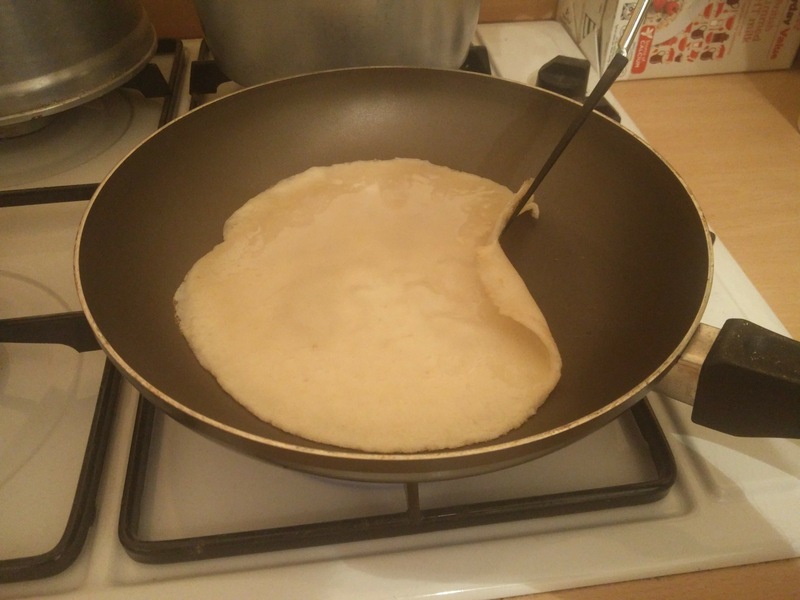 A minute-or-so later the other side had cooked enough and the pancake could be moved to a plate above a saucepan of boiling water, which was used to keep the pancakes warm while the other ones were make. 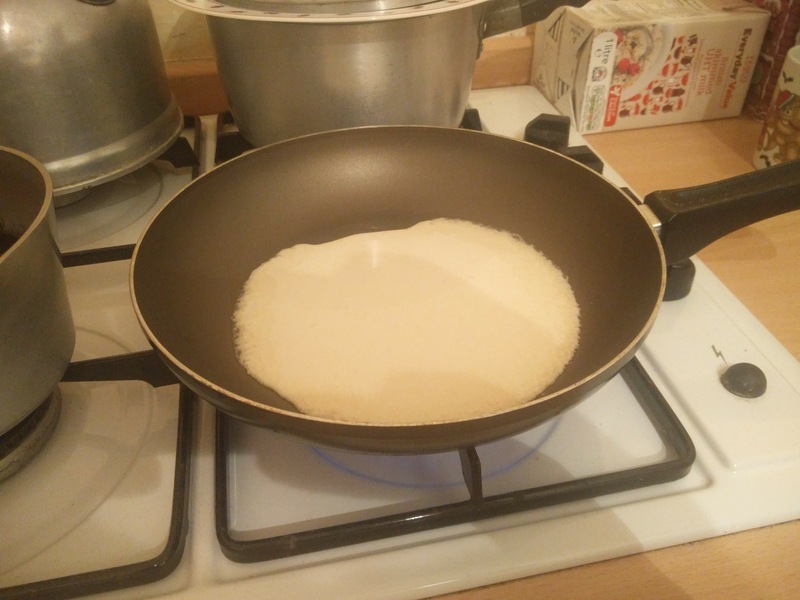 After cooking a few more pancakes (9 in total) it was time to dish them up. 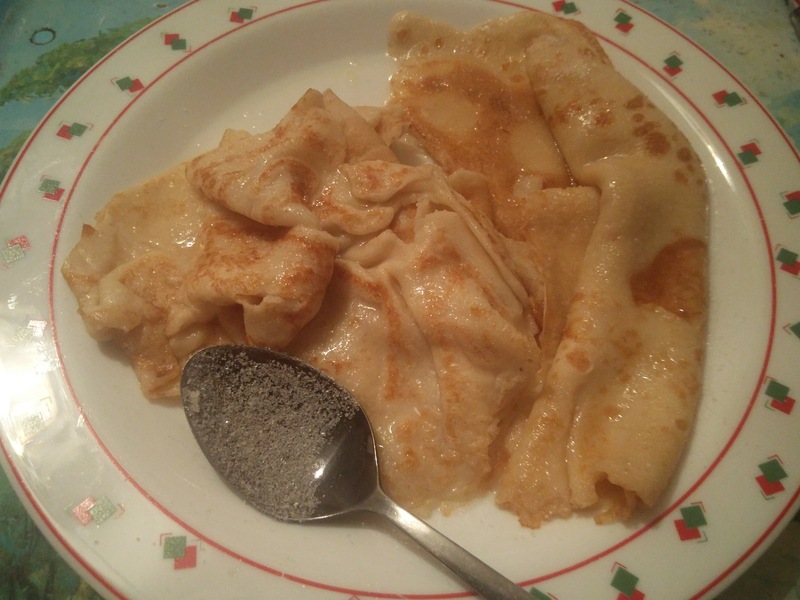 To keep it simple and be able to taste the pancake, we’d opted for sugar and lemon juice to put on top of them. 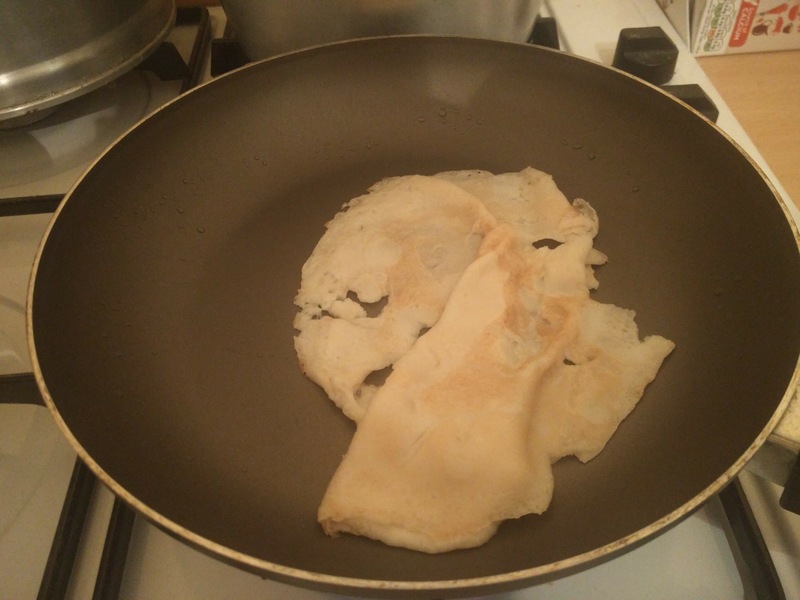 Eventually, it was time to eat my share of the pancakes. 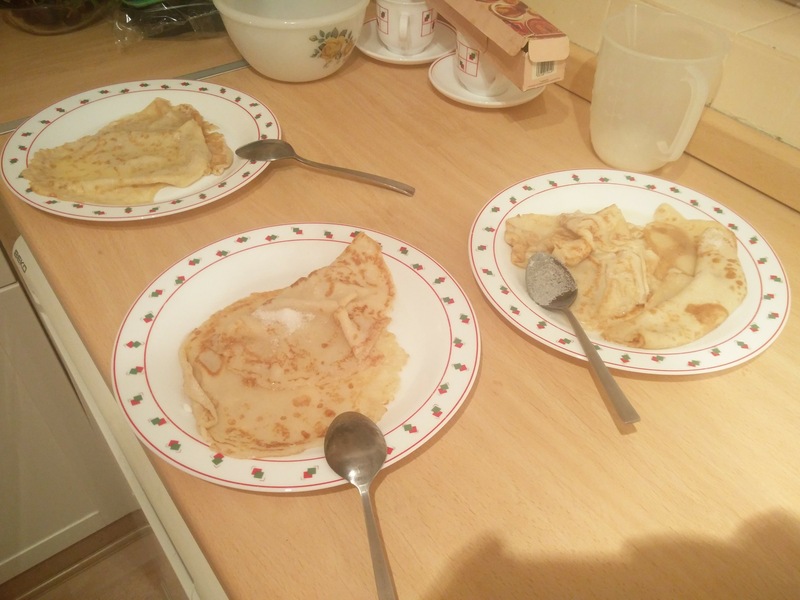 They were fantastic. 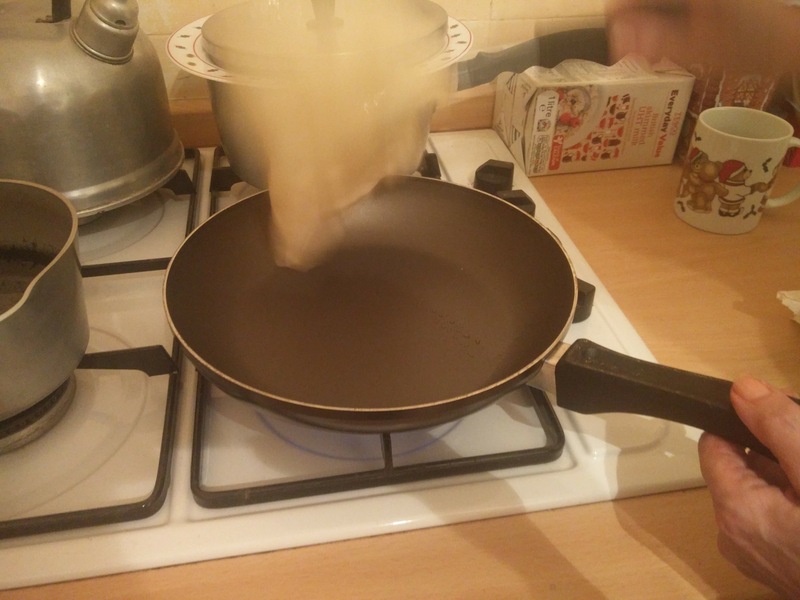 Posted in Cooking. 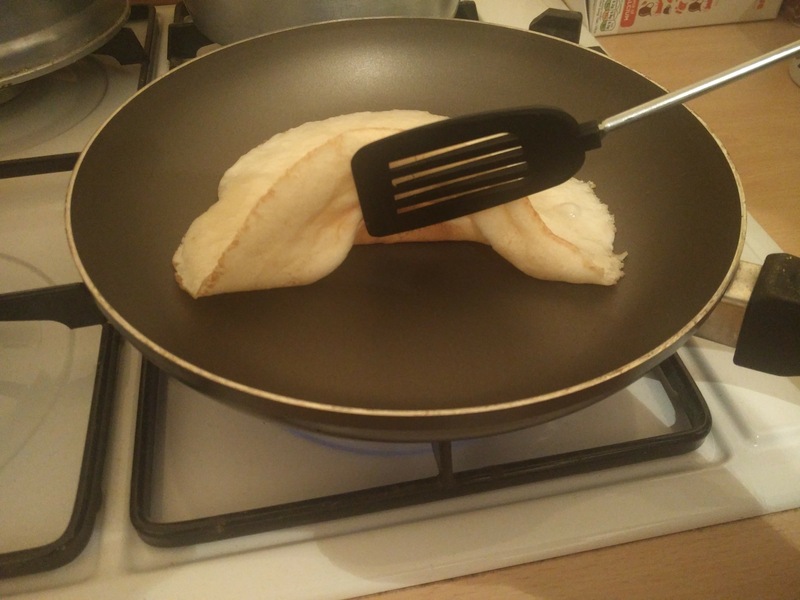 Tagged Pancakes.